An unpacking of Paul's leadership training in Acts 20 – the "Gospel DNA" for growing churches. I cannot imagine that any church serious about Jesus, his gospel, and his Word could not make excellent use of this short book that engagingly articulates old “ministry values” in fresh and memorable ways. Don’t be satisfied with one copy; buy a box of them and distribute them widely. It is often said that gospel truth is not merely the means for conversion but is also a shaping power for all Christian life and ministry. But such a statement is often followed by generalities. 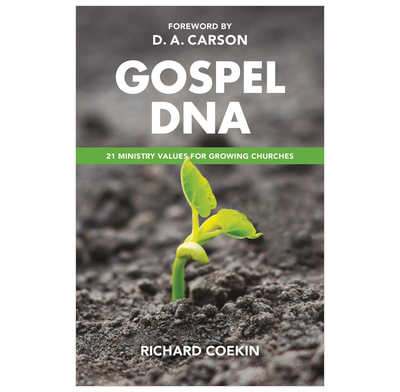 Richard Coekin has developed a robustly biblical and eminently practical handbook for applying the gospel to the ministry of the local church. I recommend it! I have the highest possible regard, and gratitude to God, for the work of Co-Mission so faithfully led by Richard Coekin over these recent years. This book contains not only a faithful and masterful exposition of Acts 20, but also numerous helpful insights on Gospel churches and Christian leadership from one who has been greatly used by God in our generation. It will be a most useful study for church leaders, and leadership teams - I recommend it wholeheartedly.